« February 2014 Customer Photos! 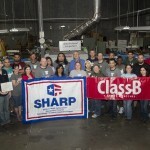 ClassB receives SHARP award from OSHA! 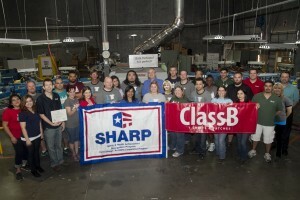 On Wednesday, March 5th, ClassB employees gathered in the production facility for a special recognition ceremony. 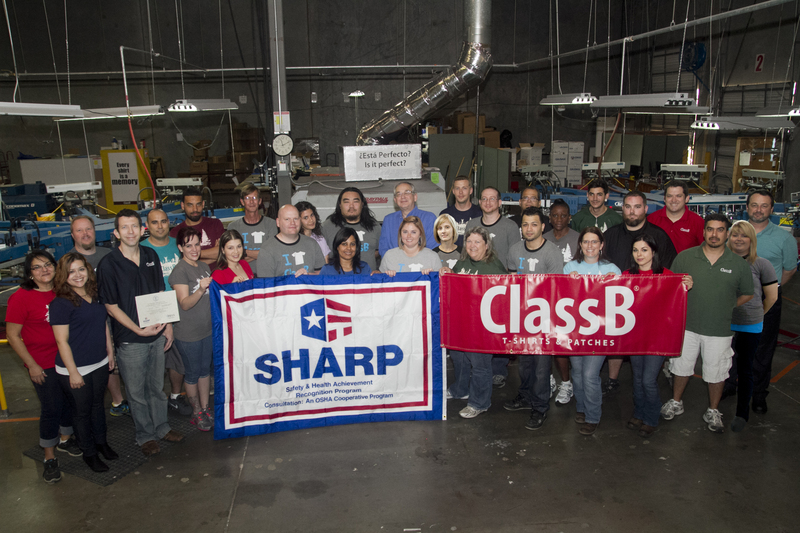 An OSHA representative presented ClassB Safety Committee members with a SHARP (Safety and Health Achievement Recognition Program) certificate and flag. There are currently only two other SHARP businesses in Tampa, of the forty-three total in the state of Florida. 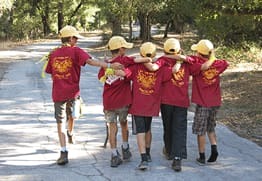 We are honored to have been recognized for inclusion in this program. In addition to our external efforts with our nonprofit customer groups, we pride ourselves in working hard internally to provide a safe and enjoyable workplace for our employees. ClassB Safety Committee members and supporting staff have gone to great lengths to meet and exceed safety and health regulations. To celebrate, officers and managers barbecued lunch and served the entire company! We are lucky and proud to be a part of such a great team. 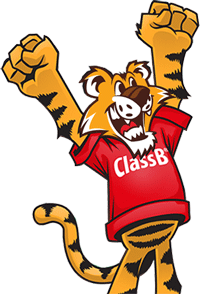 A special THANK YOU to all our employees for making ClassB a great place to work! 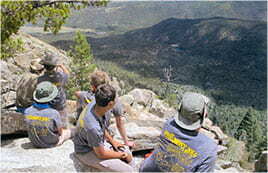 For more information about this program, please visit the OSHA SHARP page. To see other business recipients sorted by state, please visit the OSHA SHARP listing page.